Mike Parker joins the podcast this week! 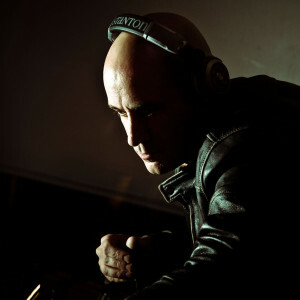 The aesthetic or theme behind Mike’s music is easily of the most recognizable in techno today. The hypnotic and minimalist approach to his music often results in tracks featuring nothing more than a synth and a kick drum. In this episode, Dustin goes in-depth with Mike about the reasoning and the process behind this approach. The two recount Mike’s resurgence of sorts about 5-6 years ago. They also dig into Mike’s music history, his career as a college professor, the recent debut of his live set, and what’s making Mike tick as a DJ today. He released his Lustrations LP in 2014 on Prologue along with a slew of great EPs on various labels since then. January saw the release of a remix comissioned by Spectral Records for MATRiXXMAN’s debut album, Homesick.